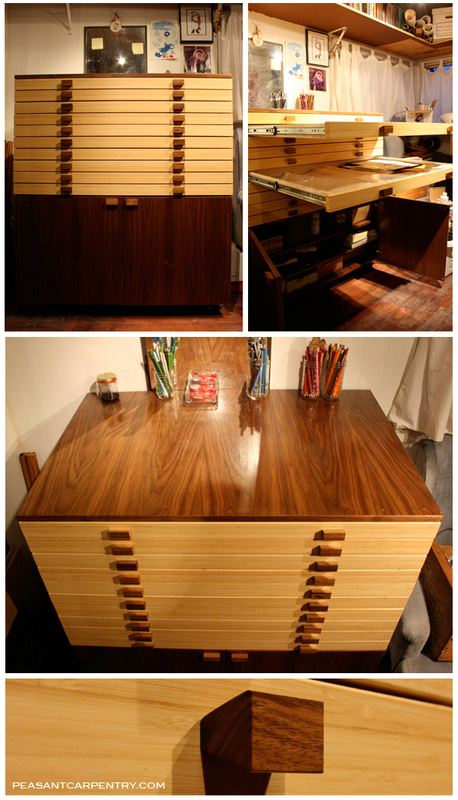 I built this flat file for my wife. It is made of walnut veneered plywood, with white bamboo for the drawer fronts and solid walnut for the handles. 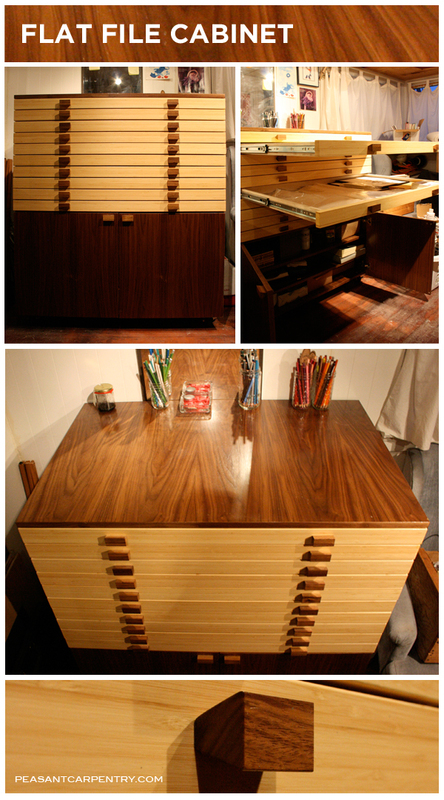 The drawers can hold up to 24″x36″ sheets of material and are inserted with full extension glides to maximize drawer usability. The lower cabinet area includes three shelves for storing bulkier items. 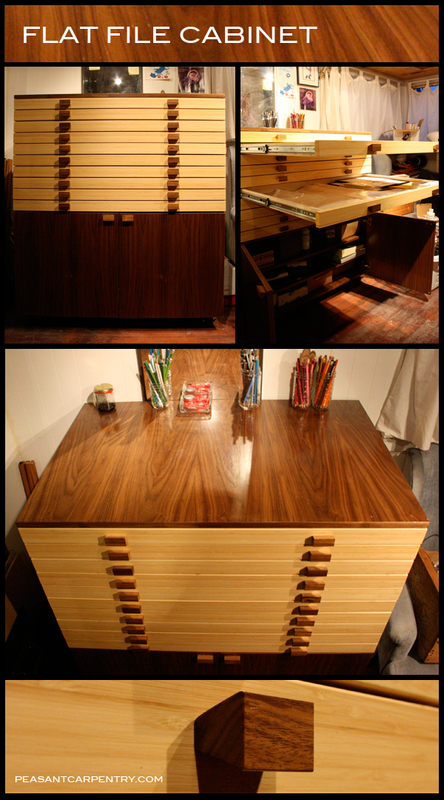 Also, this cabinet was designed at a height that makes the top a comfortable standing work space.